Forget the past. Forget the recent past. Forget the hype, the gimmicks, the circus, and the promoters. Forget the letdown of a long, overpriced fight between two safely guarded primadonnas. If the one they call “Money” has picked your pocket for the last time, you’re in good company. Wishing for a “fight” instead of an “event” has become commonplace in the boxing world. Far safer to dust off the ROCKY box set. Watching an underdog overcome the impossible is something we all relate to. After all, life for most of us is a prize fight. Accomplishments, failures, trials and tribulations. Hard times are what define us and propel us to succeed. Tough beginnings and uphill battles harden a man. If the real-life drama of the fight game has not lived up to the on-screen drama we’ve come to expect from Stallone, I ask you (at the risk of sounding like an apologetic ex-lover) to give it one more chance. I swear, this time will be different. In just two weeks, a Mexican superstar with the moniker “Canelo” (Cinnamon) Alvarez, will collide with Gennady Golovkin, a juggernaut from the former Soviet Union (Kazakhstan) who goes simply by “Triple G.” These men embody everything we love about Rocky Balboa. Both are improbable underdogs, men made of iron. They are fighters created under the harshest of circumstances. Like forging together two metals, this fight will require immeasurable heat. Purity will be tested as the combatants simultaneously reach the pinnacle of their respective careers. Golovkin is the son of a Russian coal miner, born in the former Soviet Union. As a young boy, led by his older brothers, he was paraded through the streets of Kazakhstan and directed to fight grown men. His knockout percentage is the highest in the history of the middle weight division, ruthlessly discarding any opponent whose number had been called. One vicious knockout after the other. An assembly line of bodies. All great fighters that simply never stood a chance. 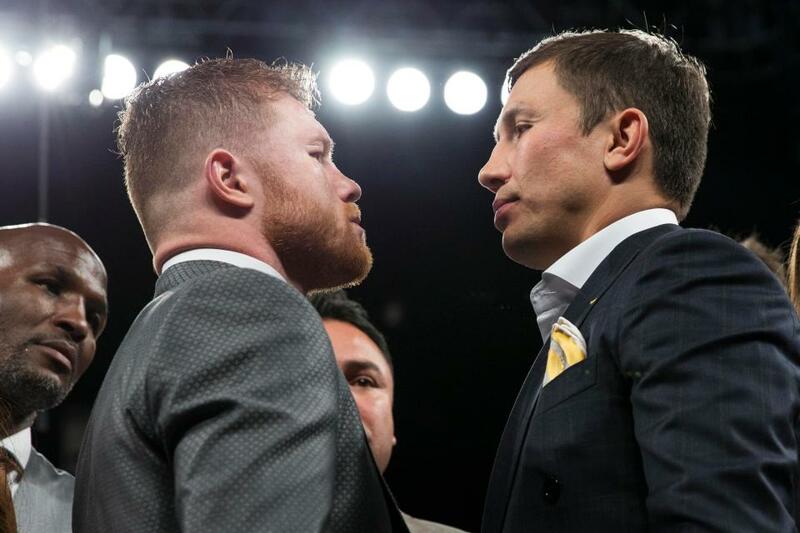 On Saturday, September 16, the steely-eyed Canelo will attempt to crack the granite-chin of the undefeated Triple G. Great drama will be seeing who has the will to get up and push through adversity. These men are heroes and villains. They are Balboa and Drago. Once more, we will be invited to watch history. This time, the fight will surpass the hype. Scott Tribl is an American writer from St. Louis, Mo.